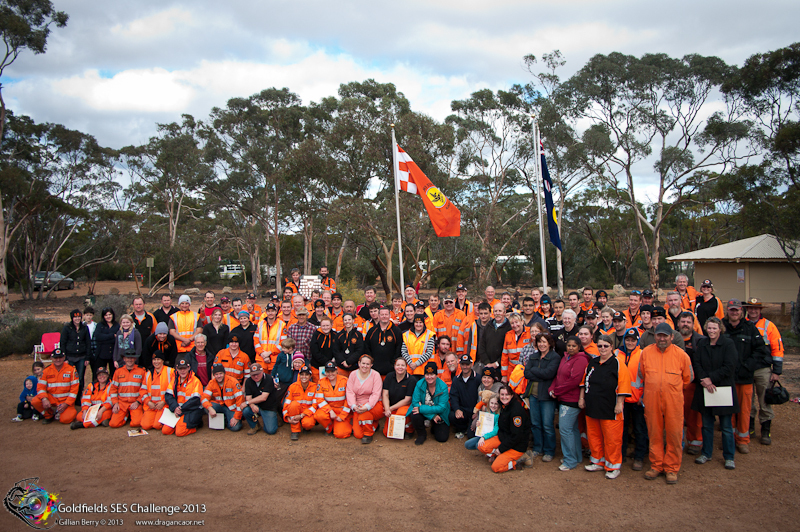 Around this time last year, I wrote about my experiences being invited to attend the annual Goldfields SES Challenge. They made me feel welcome, as though I was one of their own, & it made the task of following them around for 3 days a lot of fun. A sea of tents & hundreds of people all in orange!! Their campfire camaraderie was second to none!! 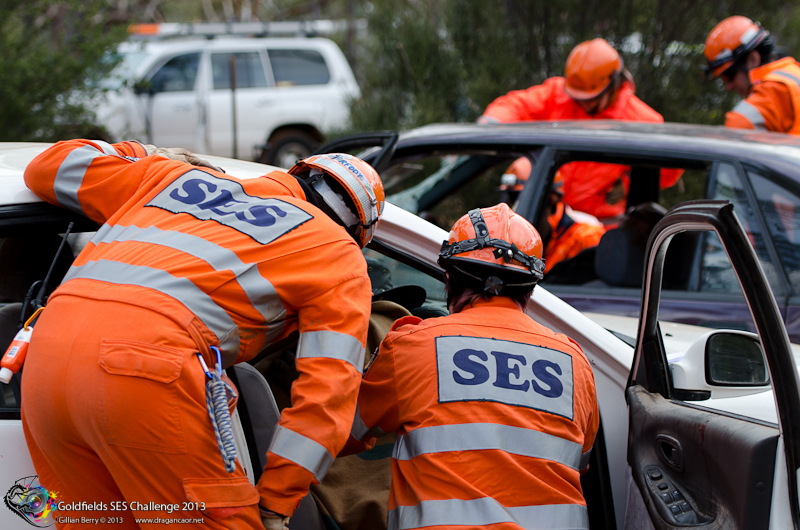 Once per year, during the Labour Day (WA Day) long weekend, the Western Australian State Emergency Service hold the Goldfields SES Challenge at a different location within the Goldfields region. This year, they’re making it possible for the public to view it easily – hosting 6 of the assessment stands at Cruikshank Sports Arena in Kalgoorlie. The Challenge tests their skills, knowledge and techniques in a team environment, over a variety of activities. This year’s teams include members from Stirling, Wannaroo-Joondalup, Bayswater, Kalamunda, Canning, Swan, Rockingham-Kwinana, Cockburn, Manjimup, Norseman, & Kalgoorlie. 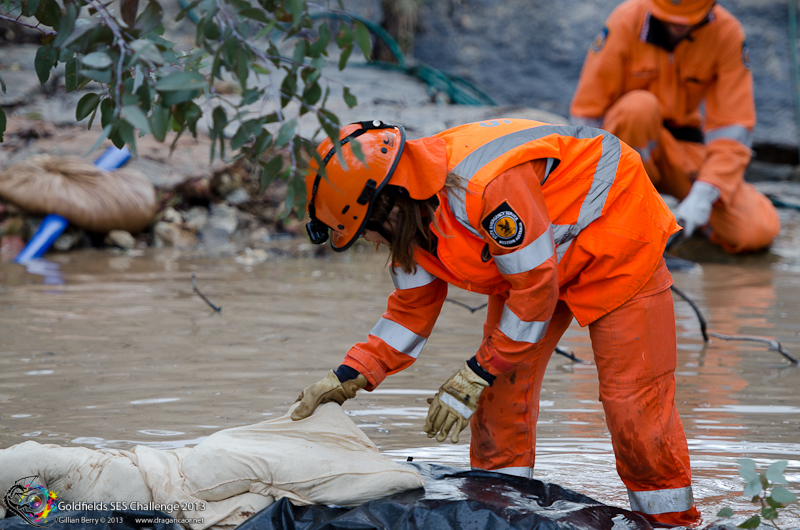 They’ll be assessed on scenarios involving storm damage, 4 Wheel Drive techniques, chainsaw use, field equipment, first aid, urban land search & general rescue, road crash rescue, & cliff rescue. The assessment stands at Cruikshank Sports Arena will be active from 9am -4pm on Saturday 31st May & Sunday 1st June 2014, & members of the public are encouraged to come along & watch! 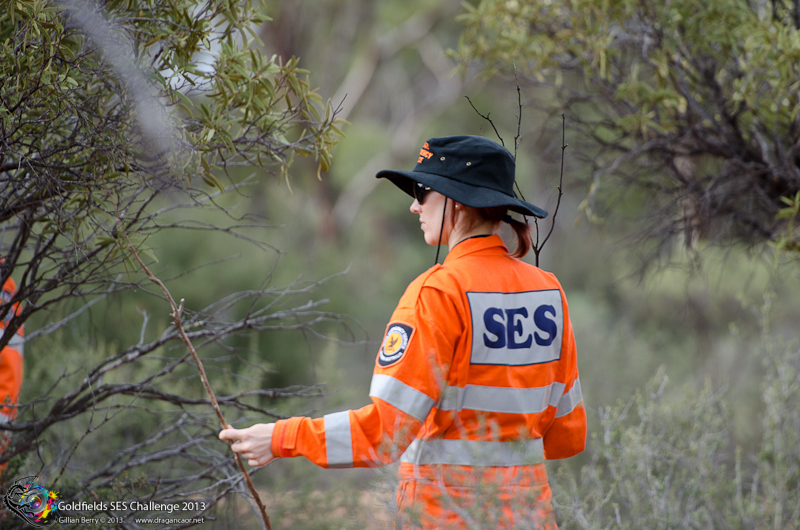 It is hoped that this will raise the profile of SES within Kalgoorlie-Boulder, & Western Australia, as well as give the community a better understanding of the tasks we undertake. The State Emergency Service is made up almost entirely of volunteers. That’s rather hard to believe when you consider what they put themselves through. Those dedicated folks who climb up on your roof after a storm to stop your home from filling with water, who spend days out in the middle of nowhere searching for your lost loved ones, who are on call 24 hours a day, 7 days a week, & who generally help out their communities in times of need – they’re volunteering & donating their time. Just to help. Remember I mentioned that last year they welcomed me with open arms, despite my not being a member of the service? For months after Challenge, I was being asked by all the friends I’d made out there, “When are you joining ____ unit?” Those of you who know of my back injury will probably understand why I continually said I couldn’t. But one particular unit, well, they convinced me I had more than what it took. So while this isn’t my first time out at Goldfield’s SES Challenge, it will be my first as one of them. Part of the family. Wearing my orange. But still wielding my camera.